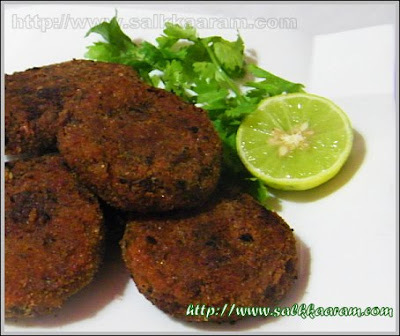 Vegetable Cutlets | Simple and Delicious ! A reader Shahana had left a comment on the previous post about taking lemon juice after fasting.She says it is not good to take an acidic drink in an empty stomach. Many think so.I believe, if the stomach is empty or full, lemon is a good thing to drink.Since long am practising the same and haven't experienced anything bad with that.When I was a child , I had read in a book (prophet's medicines, I think) the only sour thing which do not harm our body is lemon. I don't know how much of this is true. (I have never found a hadith regarding this until now.) You all know, Arabs use only good and healthy ingredients in their cooking. And lemon is widely used in Middle Eastern Cuisine. Foods such as orange juice and lemon juice are acidic in their natural state but turn alkaline after they have been metabolized in the body. As such, for dietetic purposes they are usually considered to be alkaline forming foods despite being acidic prior to consumption. Most fruits are alkaline except a few that include cranberries, plums and prunes. These fruits are classified as acidic because they contain acids the body can't metabolize. Feeling irritated after a heavy meal? Boil and peel potatoes, mash it and keep aside. Heat oil, saute onions with garlic cloves. when it is semi-transparent, add ginger and green chillies with coriander leaves and curry leaves. Saute for a while until the smell of ginger comes, then add beetroot and carrot. Add salt and stir, keep covered on a low flame. Stir occasionally to avoid sticking to the pan. When it is half cooked, add the powders and mix well. Allow to cook until done. Switch off fire, allow the mixture to cool. Mix it with mashed potatoes. Apply little oil on palms, make small balls. Press it between palms to shape cutlets. Adjust the edges by pressing slowly on palms. Dip the edges in egg batter, then roll over bread crumbs. Allow bread crumbs to coat evenly on the cutlets. Serve with salads and sauce..! Note: If you use any other vegetables like cabbage , peas etc. please adjust the amount of using other ingredients. 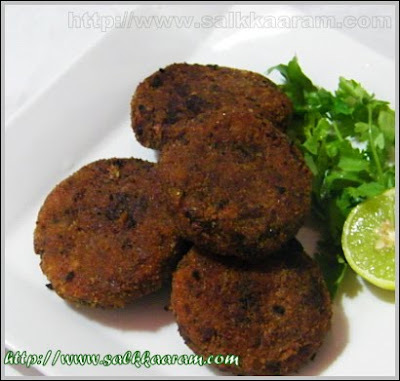 See other cutlet recipes here..
Cutlets look delicious and crispy, i love the addition of beetroots! Ho...kothippichu..ithu kandappo college canteenum hostelindauthe bakeryum orthu..professional ketto. thanks, Alhamdulillah.. fasting is going well with us..
Wow Seena this look delicious! I bet these taste wonderful I have been using beetroot a lot recently. Cutlets looks amazing! Yummy! I know many people who get up and have lemon juice early in the morning...doesnt seem to harm them so I guess it should be ok.
Looks very good, Seena. Happy fasting to you! tried this recipe with chicken mince, was yum yum yummy. even my hubby who usually does not eat cutlets, liked them. Approximately how many cups of onions would be 2 onions as per this recipe. Since onions, tomatoes comes in different sizes, I often get confused on the amount to be used.